Sunday, 18 November 2018 | Geisel Park stallion All American has sired winners of 370 races in 10 countries and his Kiwi crew chimed in with an Awapuni winner on Thursday and a double at Ruakaka on Friday. Korakonui (5m All American – Riddling by Redoute’s Choice) will be set for the Dunstan Feeds Stayers Championship Final at Ellerslie on New Year’s Day following a three-length victory at Awapuni. The Ralph Manning-trained mare led into the straight and then raced away to win as she pleased for jockey Jason Waddell. Korakonui’s dam Riddling moved to WA shortly after her All American was sold as a foal to New Zealand. Touchstone Farm’s David Bishop bought her for $27,000 at the 2014 Magic Millions National Sale carrying a filly by Charge Forward. Named Countess Natasha, she made $65,000 at the 2016 Perth Magic Millions and was last seen winning two in a row at Belmont for trainer Lou Luciani. Bishop retained Riddling’s next two foals – a Planet Five filly and Snippetson colt – before selling her for $18,000 at this year’s Magic Millions National Sale. She was carrying a Deep Field colt this time and the mare and foal are now owned by Embrook Bloodstock’s Letitia Langbecker in Beaudesert. Group 1 trainer Richard Collett, jockey Andrew Calder and owner Joanne Sims brought up an All American double at Ruakaka with 4yo mare Mercy Hill and 3yo filly Tiger Silk. Tiger Silk was sporting blinkers for the first time after awkward getaways and being crowded at her first two starts in October. She angled into the clear and swept by the leaders in the straight for an easy win on Friday. 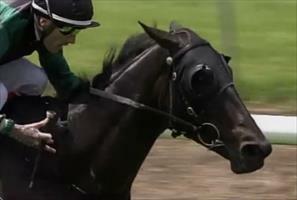 Elusive State has been the best of the All Americans in New Zealand. Bred on the same Redoute’s Choice cross as Korakonui, he won the New World 2yo Stakes at Te Rapa before transferring to Hong Kong. All American (Red Ransom) stands for a $7,700 service fee at Geisel Park.